Once again, the holidays mark one of the busier travel times of the year, with much of it personal travel as family and friends take to the skies. As with every holiday season, many of the same issues come up again and again, but in the past few months AirSafe.com has added a number of resources to help you deal with some of the uncertainty and stress. The two biggest changes include the recent release of the AirSafe.com Baggage and Security Guide, with dozens of articles on dealing with security, baggage, unaccompanied children, and other concerns. It is free and available as a PDF download, or as a MOBI or EPUB file that you can read in your Kindle, Nook, or iPad. For those who are are a bit anxious about flying, AirSafe.com has teamed up with the SOAR fear of flying organization to offer advice, information, and other resources for fearful flyers. Download AirSafe.com's fear of flying resources guide for more information. Much of the advice AirSafe.com has for passengers traveling this time of year hasn't changed all that much, but below we have included some of the issues that many passengers are likely to face, from missed connections and lost baggage to having some of your carry on items confiscated by airport security. Please review the following pieces of advice, you may find something that will help you avoid problems, or help you deal with them should they happen to you. If you do not have these kinds of IDs, you may be able to present alternative documentation to the TSA. 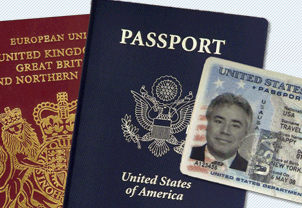 Non-US/Canadian citizens are not required to carry their passports if they have documents issued by the U.S. government such as Permanent Resident Cards. Those who do not should carry their passports for domestic US travel. For more identification advice, including more details on IDs the TSA finds acceptable, and what to do if you can't find your ID, download the AirSafe.com Baggage and Security Guide. Depending on the level of security in place when you are at the airport, the security agents may insist on searching every bag, package, and suitcase. Be prepared by arriving at the airport at least a half hour earlier than usual. 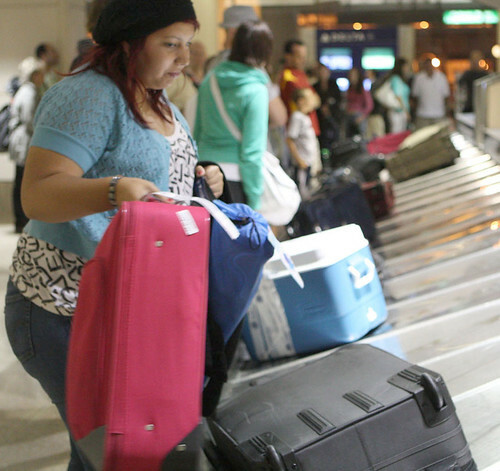 One recent change in TSA is good news for many parents. Children under 12 are no longer required to remove their shoes to go through the screening area. Note on gels and liquids: There are exceptions for small amounts of gels, liquids, and aerosols, and more generous exceptions for medically related items, but for most items in containers over 3.4 oz. (100 ml), if you can pour it, pump it, squeeze it, spread it, smear it, spray it, or or spill it, you probably can't carry it in your carry on. Snow globes of any size are also not allowed in your carry on. Visit AirSafe.com to find out what you are not allowed to take on an airplane. Note on fruit cakes: In virtually all cases, fruit cakes (even those made with loving care by close relatives) should be dealt with long before you get to the airport. Some prefer giving them away, but discreetly tossing them out when no one is looking is often the preferred method.